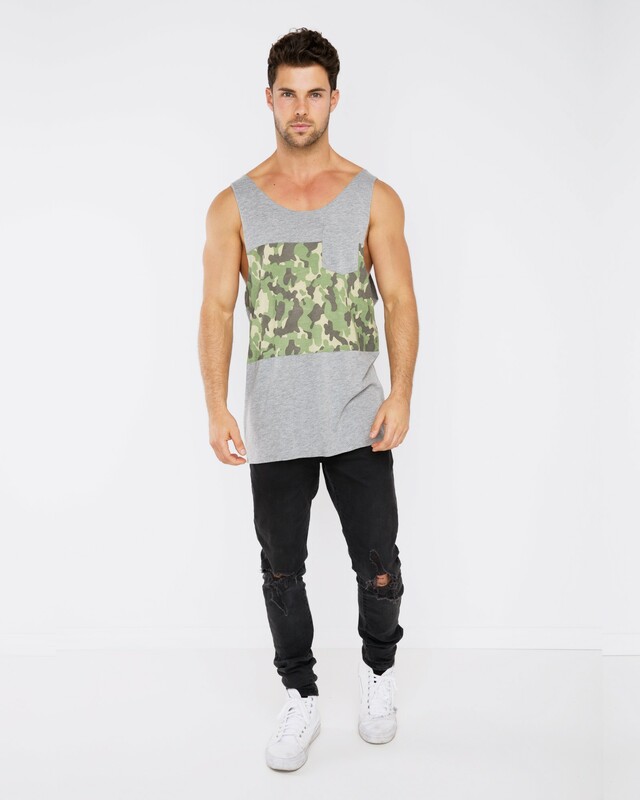 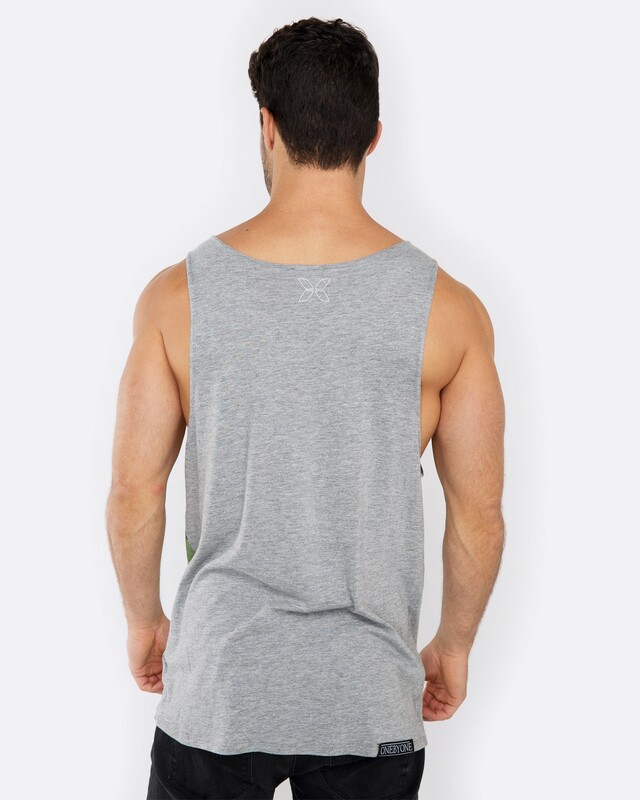 This blank men's singlet is made from a viscose and cotton blend material, with a acid wash to make it look more vintage and the material softer. 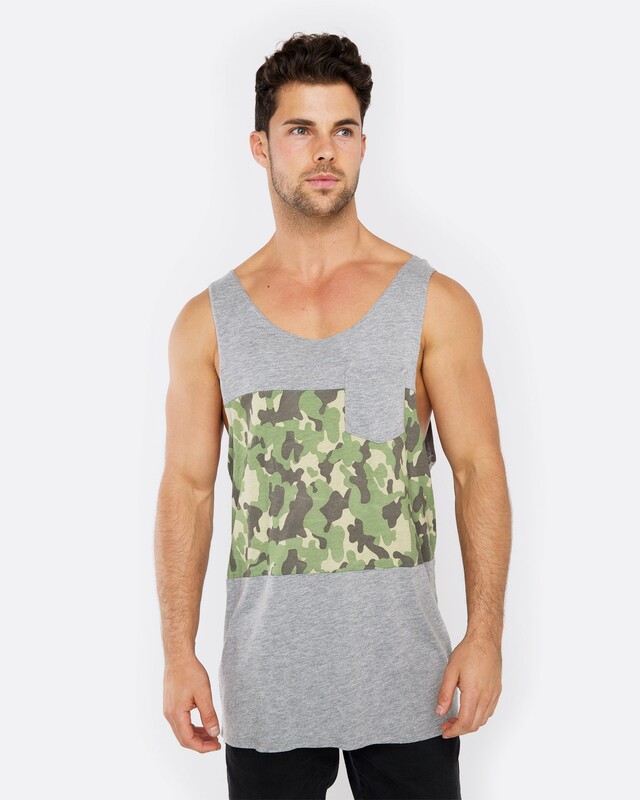 Featuring a stone washed dark denim pocket. 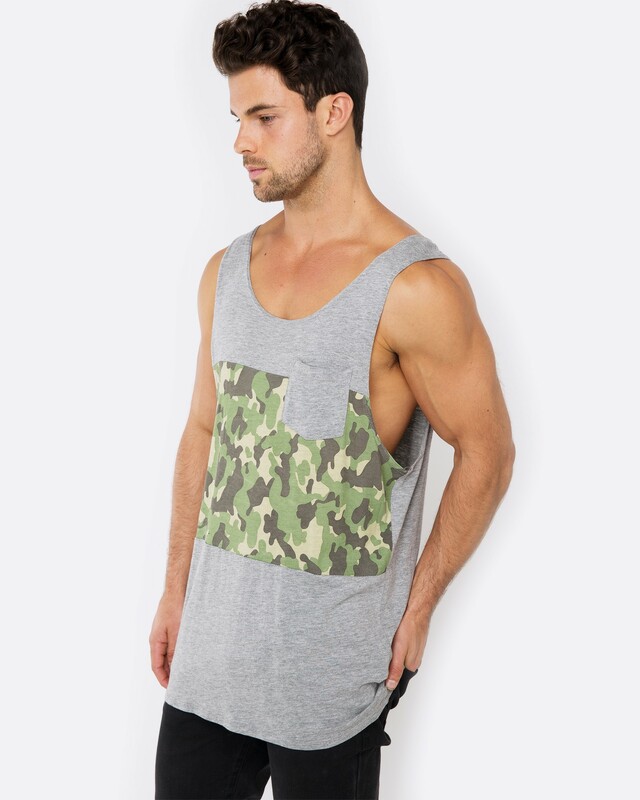 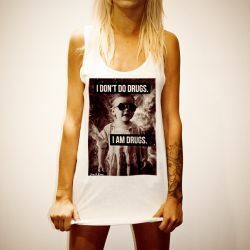 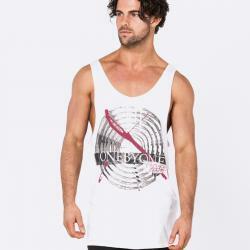 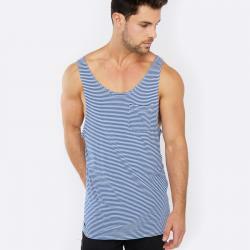 Great subtle singlet to wear to the beach and nightclubs!